Your luck can wait for you anywhere — in a pile of old stuff, at a flea market, while redecorating, in your backyard, or even in the middle of a field. Luck comes unexpectedly and in the most unusual forms. Bright Side will tell you 7 stories of the people who accidentally found things that made them rich. There was an old house in the city of Windber, Pennsylvania that had been abandoned for more than 20 years. One day, local kids got into the house while playing and found several old coins near one of the walls. The kids told their parents about their find. The parents decided to break apart of the wall and when they did hundreds of coins fell out of it. According to the calculations, there were $8,500. Among the ordinary coins, there were some rare ones that were issued between the years 1793–1857. They were valued at $200,000. In Ballarat (Australia) a local farmer was walking with a metal detector on desert lands around his home. When the device detected something, he started digging. Immediately he found little pieces of gold. He continued digging and found a huge piece of gold that weighed 5.5 kg and was worth $315,000. Surprisingly, this area was explored many times but nothing special was found there. This is how the nugget looked. One more lucky guy from Australia found the world’s rarest opal. During one of his workdays, a miner named Bobby (he prefers to conceal his surname) found a big sparkling opal on the bottom of a bucket with ordinary stones. The man decided to keep it as a souvenir. He only showed it to a specialist after 14 years. 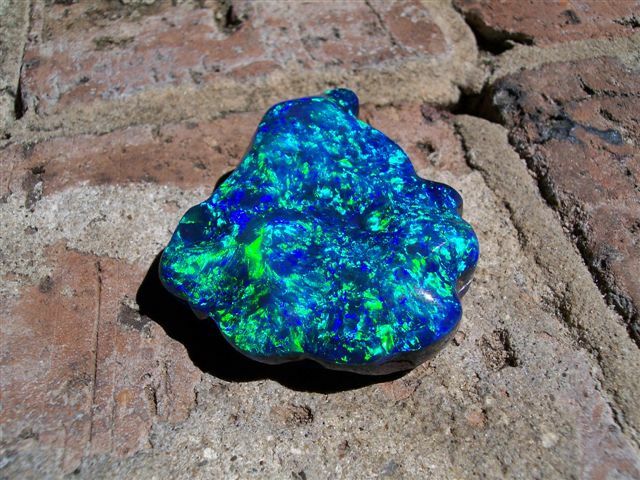 It appeared that he had found an incredibly rare black opal. The stone was named “Royal One.” And according to experts, its original cost at an auction was $3 million. This is how this rare opal looks. In 2009, a builder from Cleveland named Bob Kitts was redecorating the house of his school friend Amanda Reece. He was dismantling the old tiles in the bathroom when he found 2 metal medicine chests stuffed with envelopes of money inside. The envelopes were addressed to The P. Dunne News Agency and contained $182,000. The school friends were happy about the find but couldn’t agree on how to share the money. Amanda offered Bob 10% but he asked for 40%. They couldn’t agree and were forced to go to court. P. Dunne also found out about the process and, as a result, the court shared the money equally between all members of the conflict. In 1992, a British farmer named Peter Whatling lost his hammer. In order to search his premises thoroughly he asked his friend Eric Lawes, who had a hand-made metal detector, to help. In the first few minutes, Lawes found a big silver coin. He started digging in the spot where he found the coin and found a wooden box with a golden necklace, jewelry, and hundreds of coins. Archeologists named this find “Hoxne Hoard.” It’s original worth is estimated at $15 million. All the artifacts were given to the British Museum. 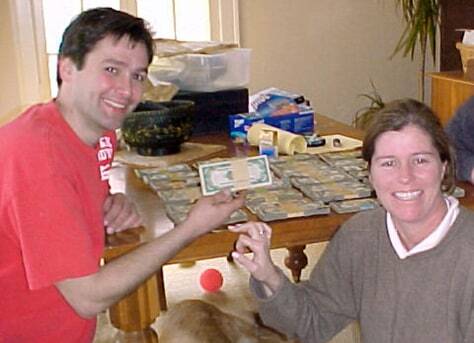 Eric got a prize of $2.3 million, which he shared with his friend. However, Peter Whatling never found his hammer. One man from Pennsylvania bought a $4 painting at a garage sale. He wanted to use it to decorate his house but when he went to change the frame, he found a document attached to the back of the painting. It appeared to be one of the 25 official copies of the Declaration of Independence made in 1776. Later, this document was sold at an auction for $2.4 million. A similar story happened to Michael Sparks from Nashville. He bought a copy of the Declaration at a local thrift shop just because he loved the way it looked. He paid $2.48 for it and a long time after he bought it, he decided to show it to experts. It appeared that this was also one of the copies made 184 years ago. Later, it was sold for $125,000. An amateur archaeologist Terry Herbert once asked his friend (a farmer from Staffordshire, England) to let him search through his fields with a metal detector. He had hoped to find a few coins. In the first day of the search, they found 4 thousand artifacts that weighed 4.5 kg in total. Archaeologists figured out that the treasure belonged to the British lords, commanders, and religious figures of the XII century and were most likely a kind of sacrifice to the gods. The treasure was estimated at $5.3 million. You can read the complete story of the treasure here. Have you or your friends ever found anything like this? Share your stories and pictures with us in the comments.